Dementia affects people in different ways and each person will find their own approach to managing changes associated with dementia. You may have received a diagnosis of Alzheimer's disease or another form of dementia and you may have many questions about what it means, what to do next and who can help. 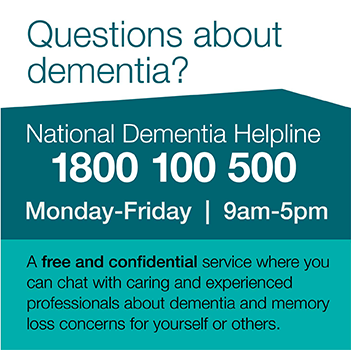 If you would prefer to talk to someone, call the National Dementia Helpline on 1800 100 500.